America’s Got Talent Golden Buzzer recipient and Long Island native Christian Guardino is set to perform the National Anthem at the Fair Media Council’s 2019 Folio Awards luncheon. GARDEN CITY, N.Y. (March 21, 2019) – Eighteen year-old singer/songwriter Christian Guardino of America’s Got Talent will be opening the Fair Media Council’s 2019 Folio Awards with a performance of The Star-Spangled Banner on Wednesday, March 27 at the Garden City Hotel in Garden City, New York. The Folio Awards will take place from 11 a.m. – 2 p.m.
Guardino is known for his appearance in season 12 of America’s Got Talent, where he sang “Who’s Loving You” by the Jackson 5 – earning him Howie Mandel’s Golden Buzzer. This month, Christian released his first original song, “Waiting” which was written by Guardino and executive produced by country singer Hunter Hayes. “Waiting” is now available on iTunes and can be streamed on Amazon Music, Apple Music, Google Play, and Spotify. The music video for “Waiting” is set to release on YouTube on April 20. “Christian Guardino is an exceptional singer with a promising career ahead of him, but just as importantly, he’s a good person with a huge heart. To provide a platform for someone like him is a privilege. And, the last time he was with us, he received a standing ovation. We’re fortunate to host him,” said Jaci Clement, CEO and executive director of the Fair Media Council. 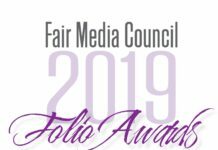 Drawing together the most distinguished and influential group of media and community leaders from the New York metro area, the Folio Awards is the perfect place to showcase Long Island’s talented youth, according to Clement. 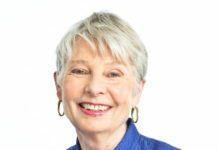 This year’s event will celebrate and honor quality news and impactful social media campaigns and includes a conversation with media trailblazer Eleanor Clift of MSNBC and The Daily Beast. Sports radio icon Ed Ingles will also be receiving the Lifetime Achievement Award. 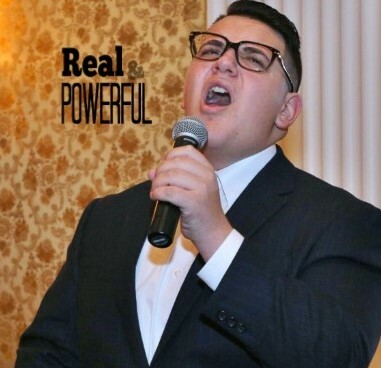 America’s Got Talent’s Christian Guardino is an 18-year-old singer from Patchogue, New York. In 2017, Christian became a global sensation with his rendition of ‘Who’s Loving You” by the Jackson 5 and earned Howie Mandel’s Golden Buzzer, moving him straight through to the live shows. Released this month, Christian’s latest single “Waiting” is an original song, executive produced by country singer Hunter Hayes. In 2018, Christian debuted his first single titled, “Missing Part of Me.” In 2014, Christian was the Grand Prize Champion at The Apollo Theater’s “Amateur Night at The Apollo Stars of Tomorrow” category. He has since returned many times as a guest performer. Christian’s appearances and performances include “The Many Colors of Soul 2015,” “World Tenors Unleashed” Workshop 2015, The Hip Hop Public Health’s “Health in Key” Gala, The New York Stock Exchange Opening Bell Ceremony, and the national anthem at a New York Islanders playoff game 2016. Also in 2016, he performed a duet with multi-platinum recording artist Jordin Sparks for Michelle Obama’s “Fit 2 Celebrate Gala” in Washington D.C. Christian has appeared on FOX’s two-hour television special, “Showtime at The Apollo. Christian was also featured in the September edition of National Geographic, telling his miracle story of being cured of blindness. Christian continues to share his voice with the world through his philanthropic work with organizations including Children’s Miracle Network Hospitals and the Vision of Children Foundation.